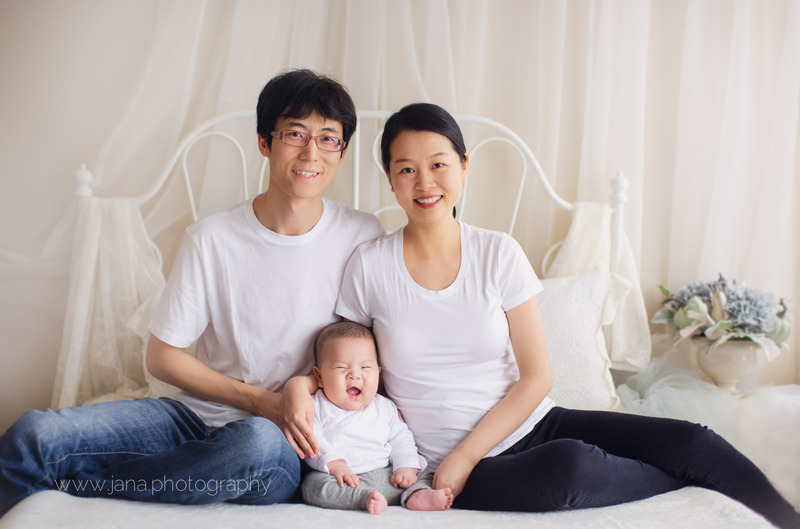 Here at Jana Photography studio, we had the pleasure to work with this lovely family. 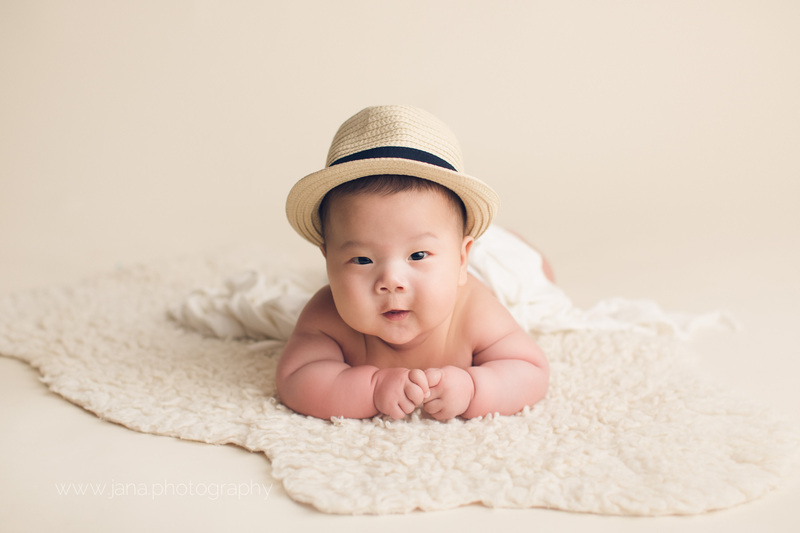 They came to our studio for 100 days old baby photography. 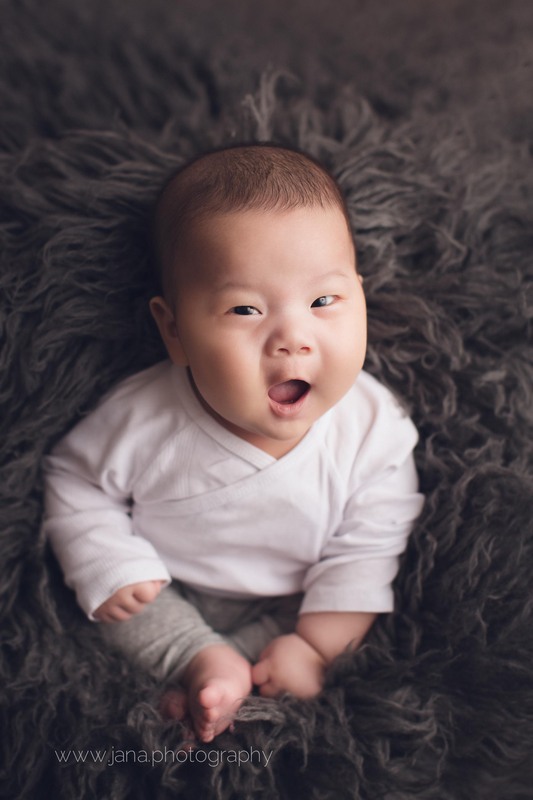 Celebrating 100 days old for baby is very common in beautiful Chinese culture. 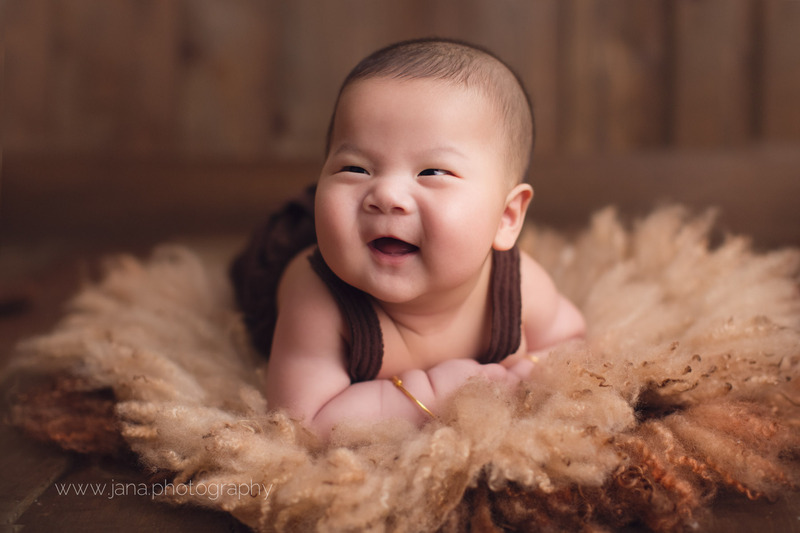 Little Eric was so adorable, and he was so happy throughout the session. It doesn’t happen so often that we get so many smiley pictures from a baby in this age. 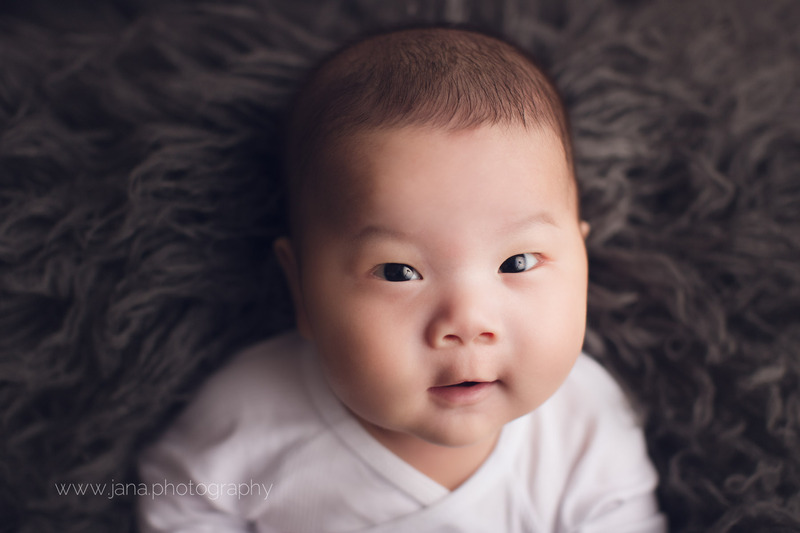 Since our baby model was happy though out the session, we ended up with a variety of photos in different setups. 100 days old is very sweet stage of life and babies tend to pay attention to their environment and interact with others, so the result is always beautiful. 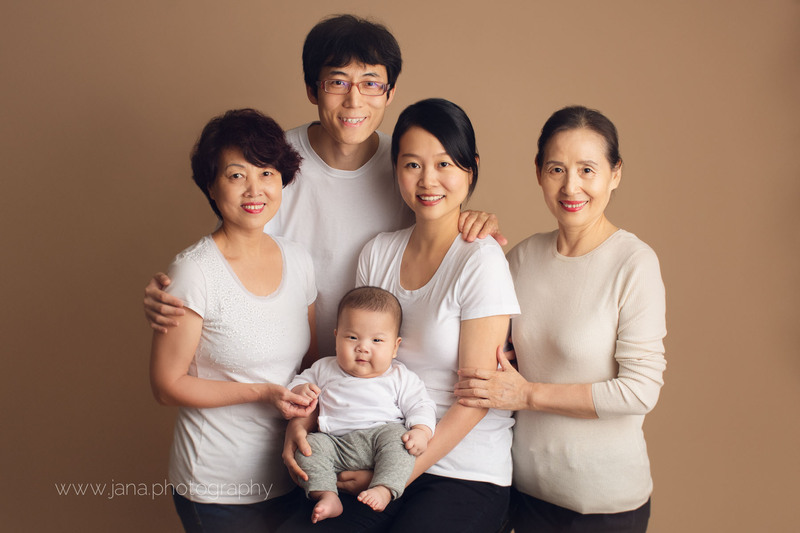 In Jana photography, besides studio lighting, we have a natural light room that allows the family pose as they like, and their picture turns out to be more natural and comfortable. 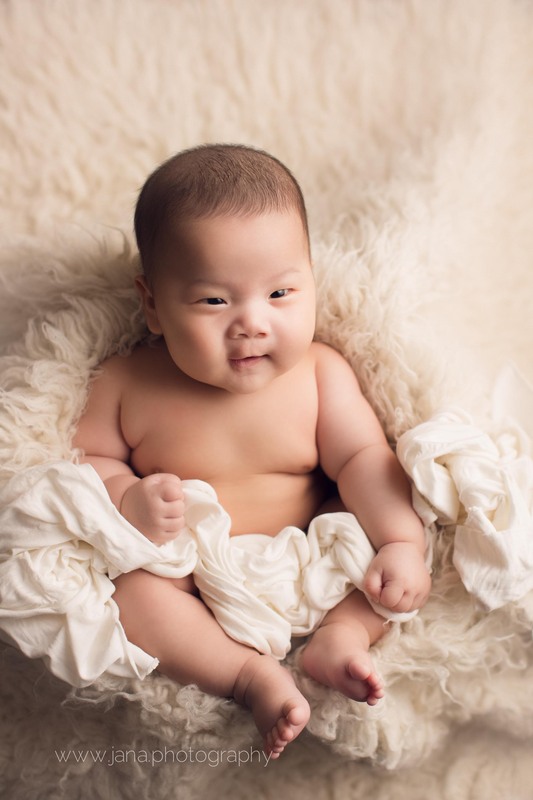 The baby is also very happy and comfortable to do varies poses. 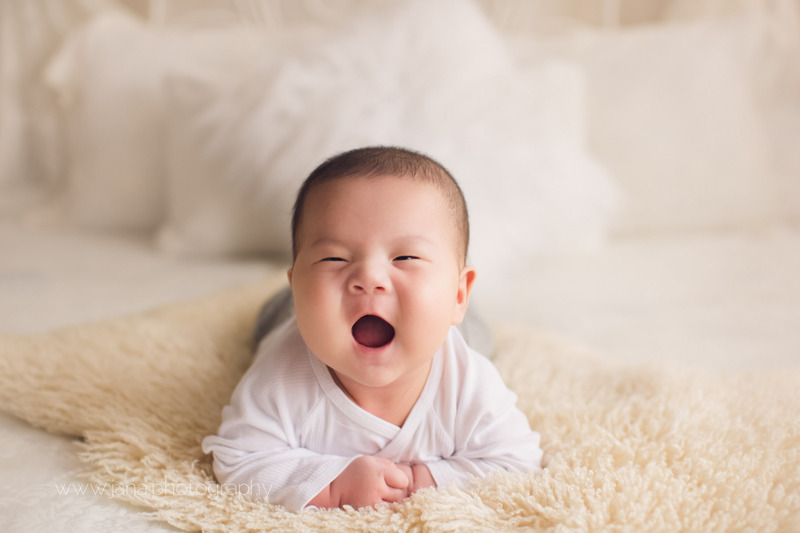 The babies at this age get tired faster and they need to nap more often to stay happy. 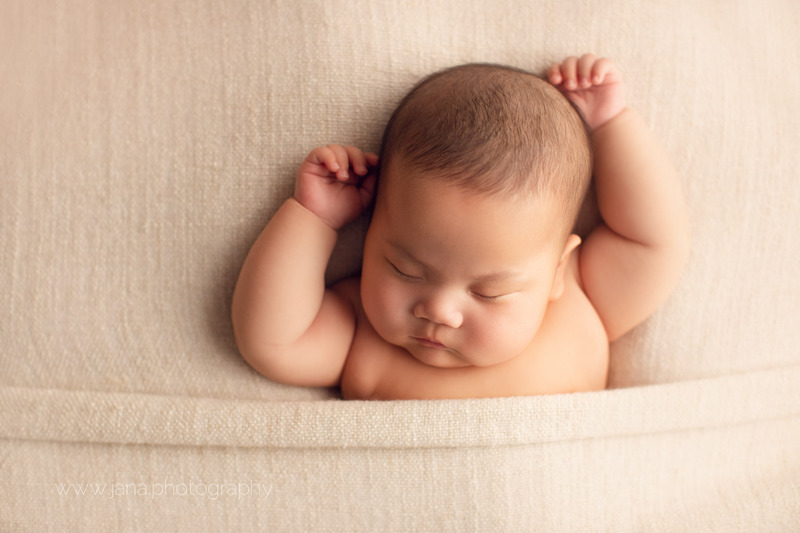 In this case baby, Eric was also tired from posing in front of our camera and we took advantage of this and we shot some pictures while he was sleeping. 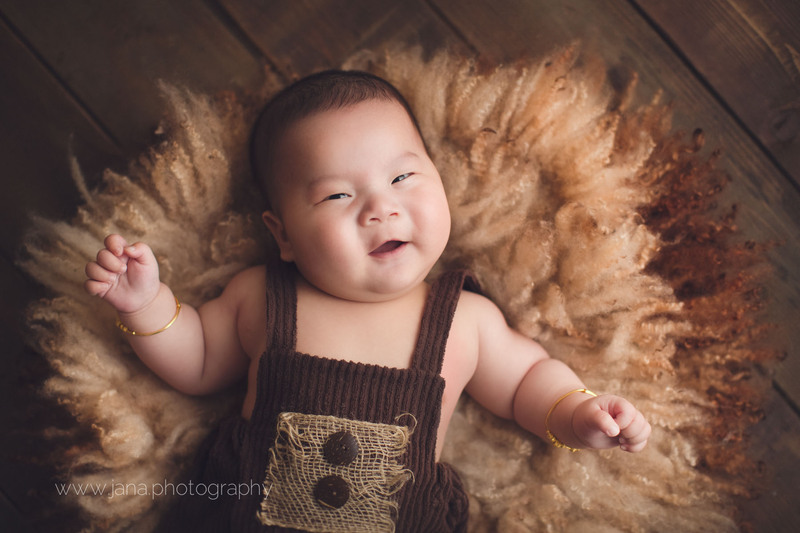 For these sessions, we welcome baby’s grandparents as well and try to capture some family shots in our studio. Eric’s beautiful smile made all the photos stunning and unique. 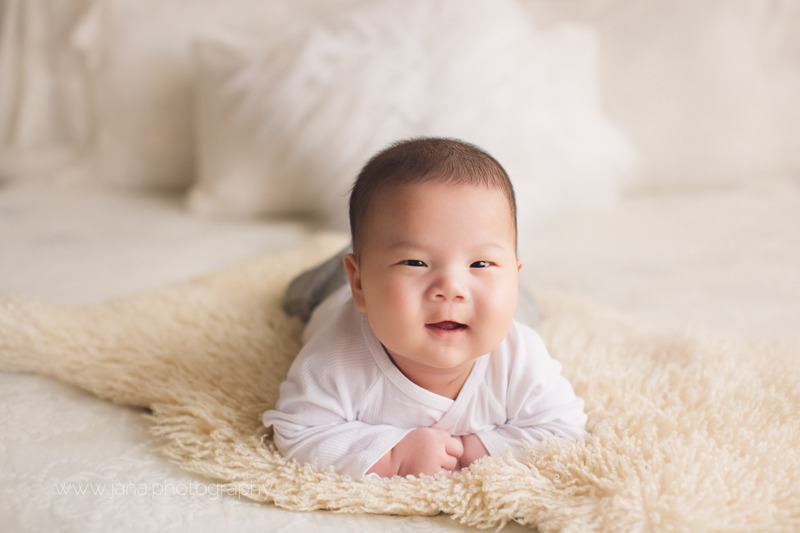 When parents miss the newborn sessions and they still want to capture some beautiful pictures from their baby, we recommend 100 days old session which is the best stage after newborn. 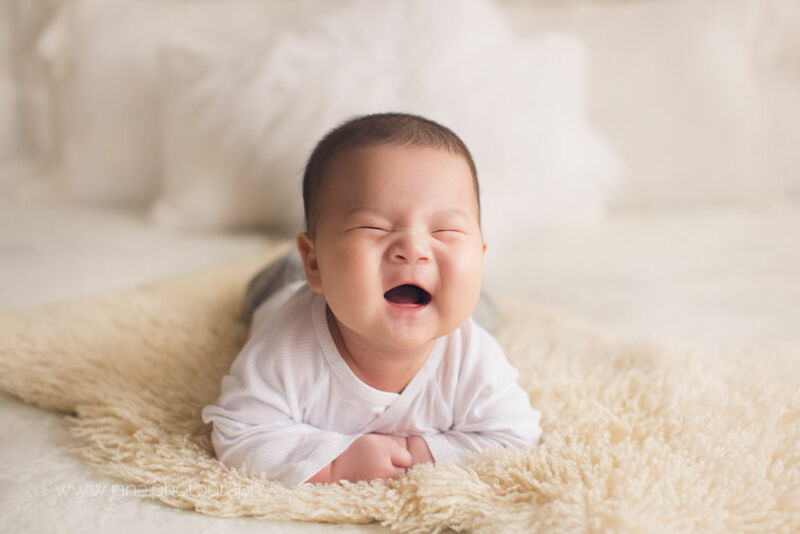 When babies are 100 days old, they still have some newborn habits, but they are old enough to react to their surroundings and hold their head up for the pictures. We are pleased that this lovely family shared their happiness with us and allowed us to capture their beautiful story. 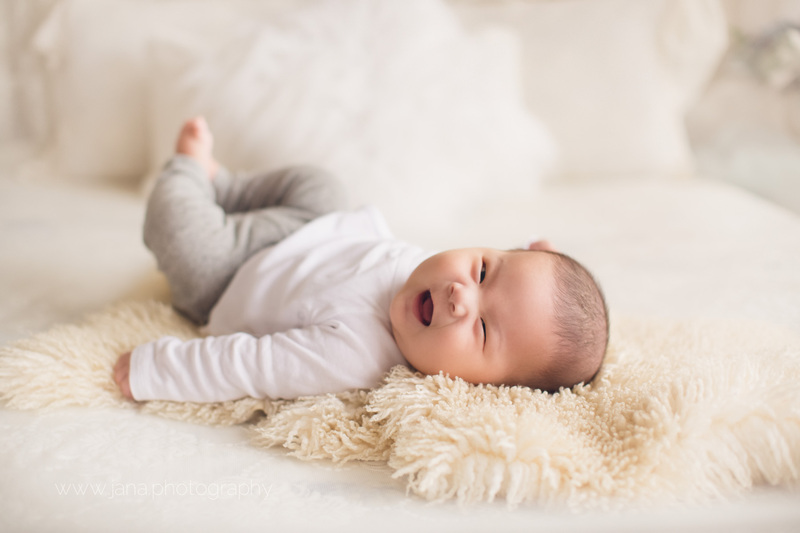 Looking for a Vancouver newborn photographer for your family and like the pictures on this blog post?Contact Jafar Edrisi and Nasim Yousefi in Jana Photography who provide premier and professional quality portraits of maternity, baby, kids, and newborns. 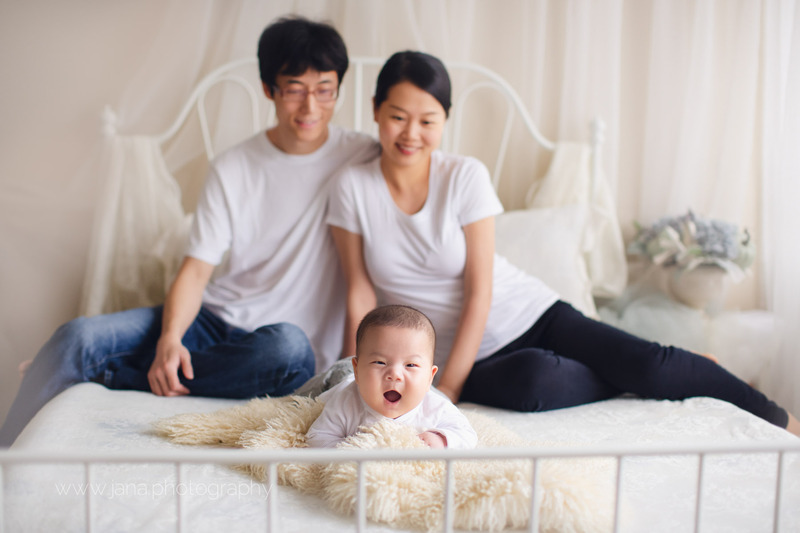 World travelers and international award winners in portrait photography are honored to be chosen as your family photographers. 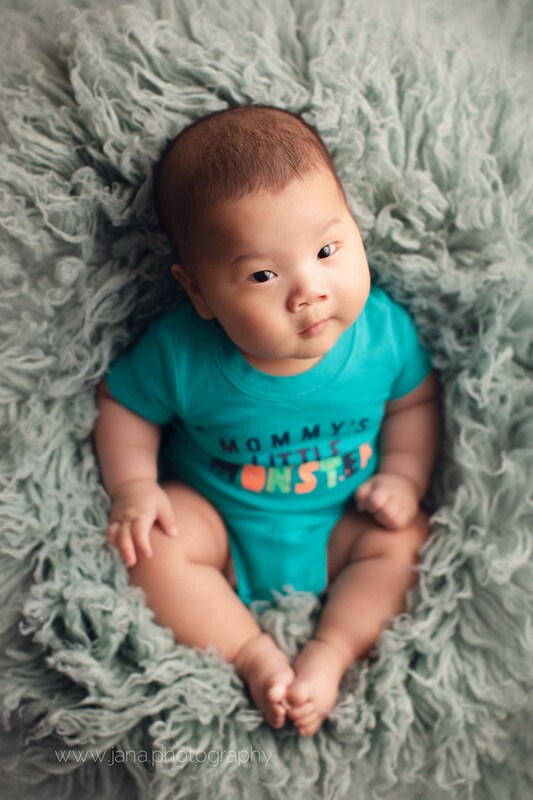 Jana Photography service in Vancouver, Surrey, Burnaby, Coquitlam, Richmond, North Vancouver, West Vancouver, New Westminster, White Rock, Langley, Delta, Fraser Valley, Abbotsford and all Lower Mainland area.